A dining room can be used as a formal space, reserved solely for feasting and entertaining. 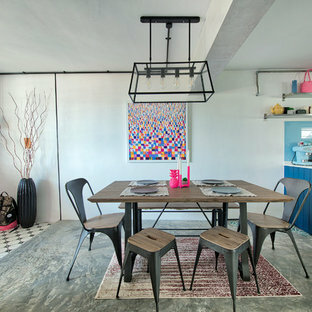 Singaporeans tend to spend more effort and money on their living room compared to the dining room, but that doesn't mean this space should be neglected. 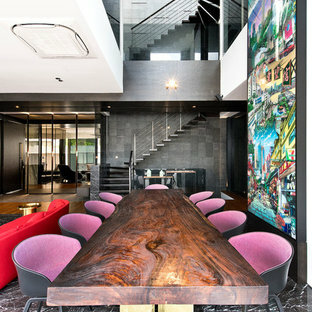 The dining table is the cornerstone of this room, and should therefore be your biggest investment. Dining chairs, decor and storage should then compliment this focal point. 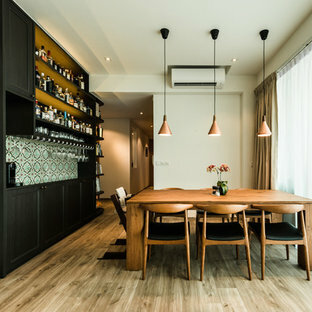 As you browse dining table options, consider your dining room size and layout; how many people you have to cater to; and how you intend to use the space. Your dining room should be able to seat all people in your household, and have room for additional guests. To ensure people have room to move, there should be no less than 1 metre from the dining table to the wall or any additional furniture item. Round tables tend to work best in tight spaces, while rectangular tables are ideal for long, narrow rooms. A square dining table, on the hand, can be a dramatic addition to any dining room, but only if you have the space. 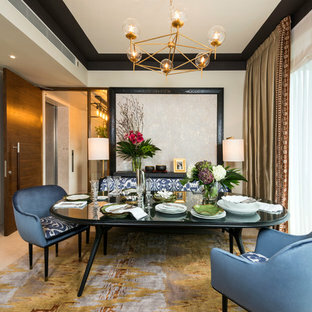 An extendable dining table, or one with a leaf, will allow you to accommodate varying numbers of guests. This is especially useful in a typically space-starved Singaporean apartment. How do I choose dining chairs? Look for dining chairs that share a common design element with your dining table. Curved or tapered legs, for example, can be mimicked in your chair design. Next, consider dimensions. The height of your dining chairs should allow at least 30 centimetres between the top of the seat and the top of the table. 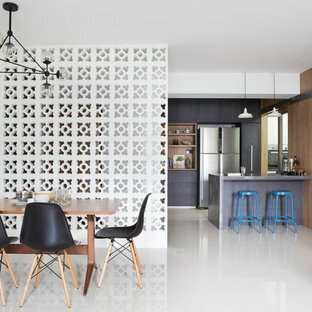 You can mix and match chairs to personalise the space, but this does require some finesse. Again, look for design elements that can be shared, such as colour, upholstery or material. The dining room tends to be a minimal space, but you can still splash a little colour around through artwork, a rug, or a sideboard with curiosities on display. 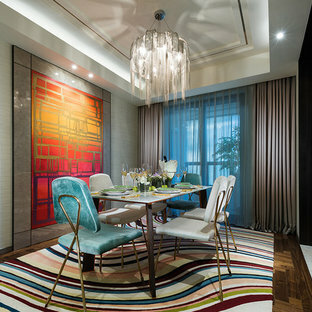 Lighting can also dramatically alter the mood of a room, creating drama, spurring romance or encouraging conversation. Use soft lighting with dimmer switches over the dining table, and opt for oversized pendants in large, open spaces to make the dining area more of a focal point. Finally, add some basic table settings – a tablecloth or runner, and a centrepiece – to cement the style of the room. How do I create an open-plan dining room layout? In, whether you live in a HDB, condo, or landed property, space is a valuable commodity. Local homeowners are finding ways to maximise floor area for their daily living, without compromising on individual spatial functions. 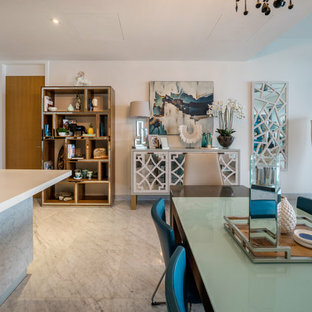 Open space kitchen, living, dining rooms are increasingly becoming popular in Singapore, and it's worth looking up living rooms and kitchen spaces on Houzz to see how homeowners have made their dining rooms ready for living and entertaining. 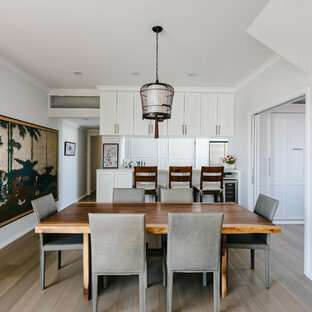 In these Kitchen, Dining and Living photos on Houzz, you'll find that designers use the following techniques to make an open space living-dining, or kitchen-dining room work. These include using different floor materials to transition between spaces, using focal points (like artwork or a mirror) to define a space. Others use rugs, speciality lighting, or decorative dividers to demarcate spaces within their open plan layout. 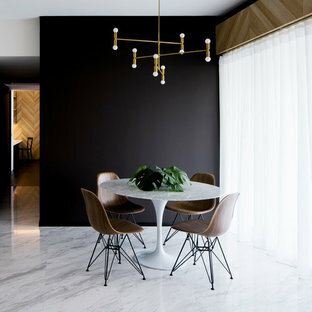 How do I use my inspiration for my dining room renovation? 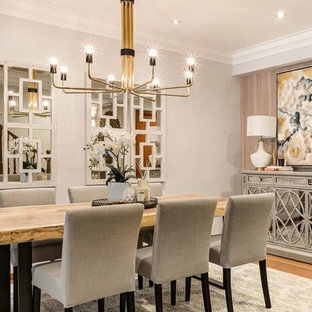 Sort your dining room inspirations into various ideabooks, whether by style, individual pieces (dining tables, chairs, and lighting), or by layout (open plan, narrow, corner), and by colour or material schemes. 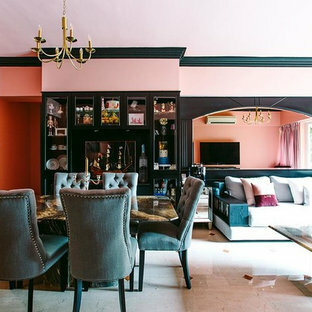 (wood textures, marble flooring, pastel coloured) If you need help with your dining room renovation, look up a professional on Houzz.